Delicate little shorts to accompany the nights of a dreamer! Inspired by the man’s boxer shorts, this piece enhance the feminine silhouette. 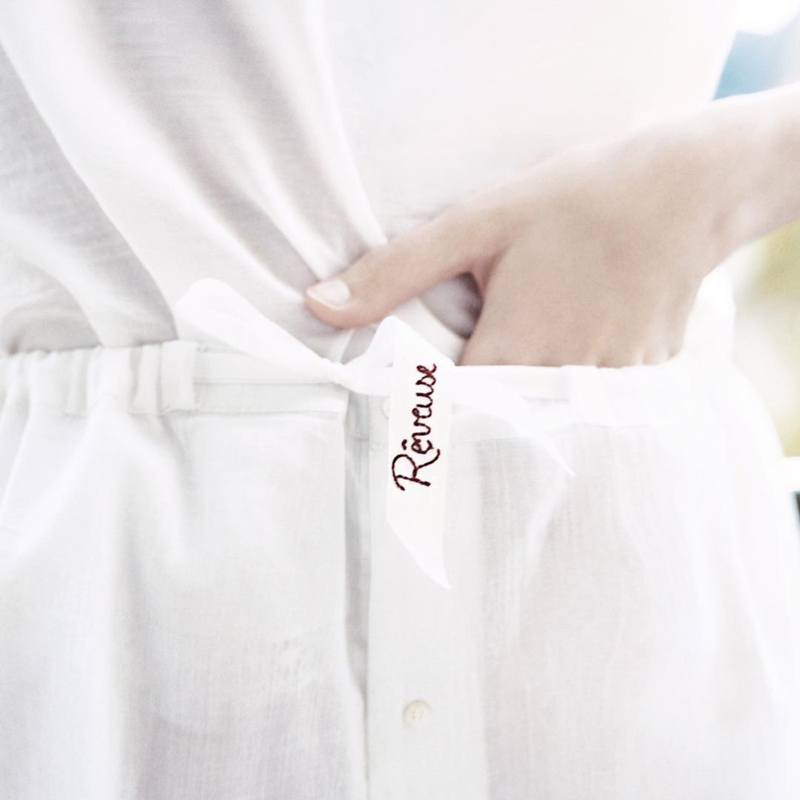 The embroidery is concealed on the shorty’s ribbon and comes from the designer’s handwriting, Elaborated with care in Henriette H small Parisian workshop.